Call it diner food or home style cooking, but no restaurant in Billings compares. Beginning at 7:00 every morning, we are busy preparing breakfasts for our early-risers -- from bacon and eggs to omelets to steaks! Our lunch and dinner menu offers such choices as daily soup and sandwich specials, cheeseburgers, pulled pork sandwiches, Charbroiled Ahi Tuna Steak to our award winning Broasted Chicken. You can enjoy your meal with a soda or your choice of alcoholic beverage. Part of what makes the Suds Hut a special place to visit is the casual, relaxed atmosphere and friendly waitresses. Whether you're a regular patron meeting friends for lunch, or trying us out for the first time, you'll feel right at home with us. 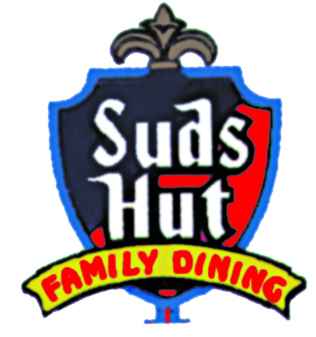 You'll find young families, local business people and senior citizens all enjoying a meal at the Suds Hut.